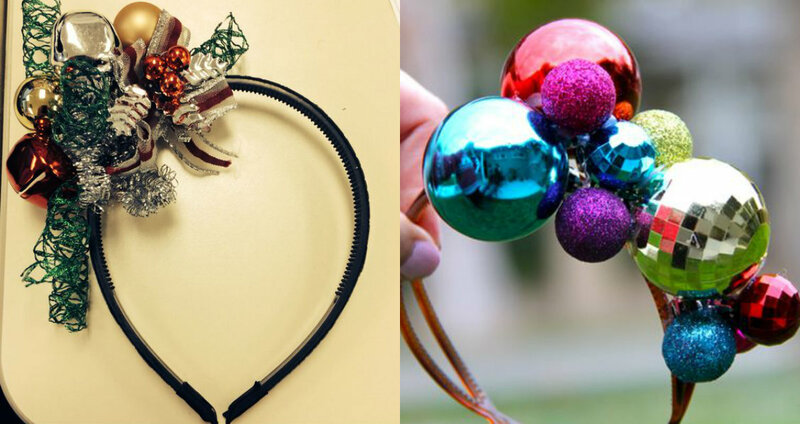 Summer is gone and we already start to think about the soonest coming holidays and plan my Christmas hairstyles and accessories for 2017. You may say that it is to early, however in reality only thoughts about holidays help us survive the long working days and seasons, so why not emerge into the mystery fabulous world of Christmas and New Year eve right now? I don't see any reason we should't do it. So New Year party hairstyles suppose some exceptional looks, that will not only impress everybody but also will bring success in the coming year. 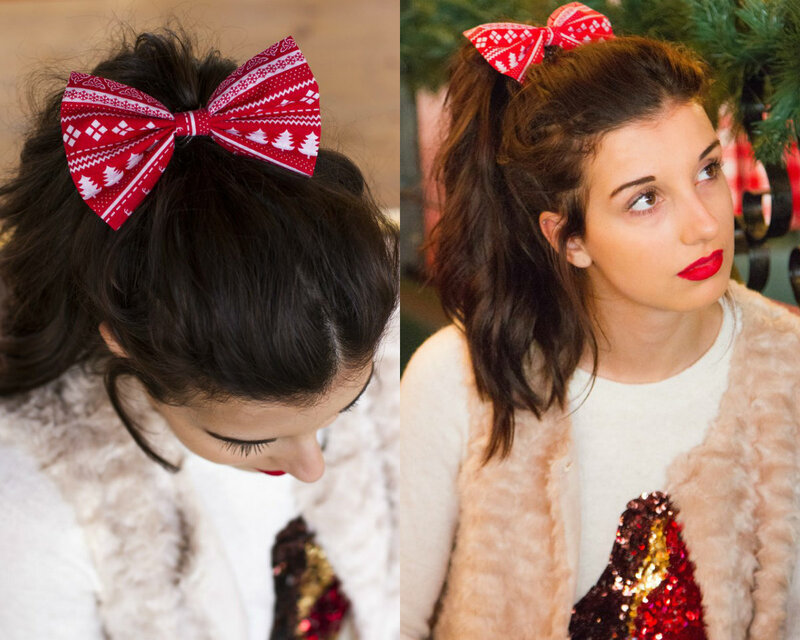 Essential part of Christmas look are for sure popular party hairstyles that contain the holiday spirits and transfer the sensation of celebration and feast. 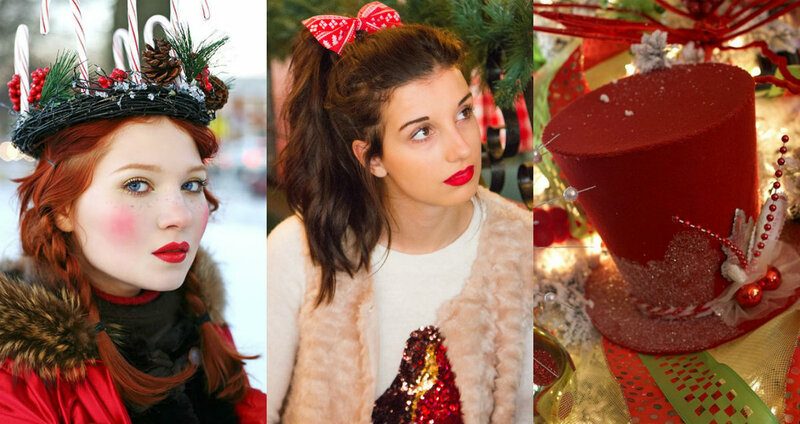 From simple ponytails with red bows to extravagant hairstyles to DIY hair accessories, we are here to see the best Christmas hairstyles to meet 2017. Some say that each year you should think of outfit and hairstyles appropriate for the coming year in accordance with Zodiac. 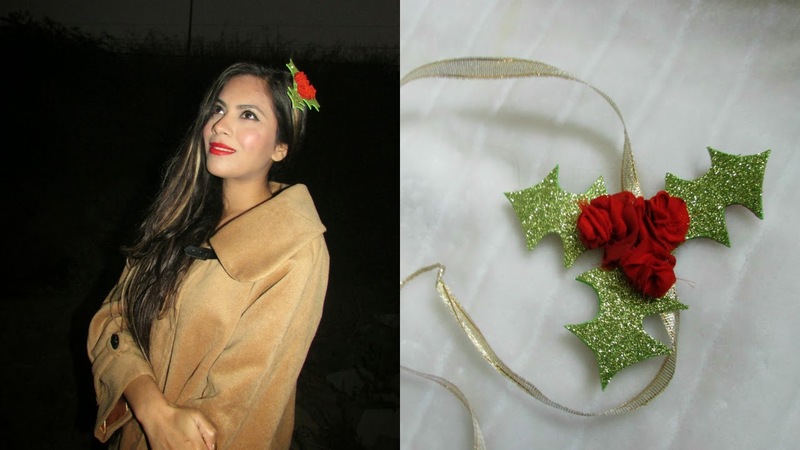 But I will say that each year you should feel the Christmas vibes and choose some cute red color hair accessories that reflect all the joy about the holiday. 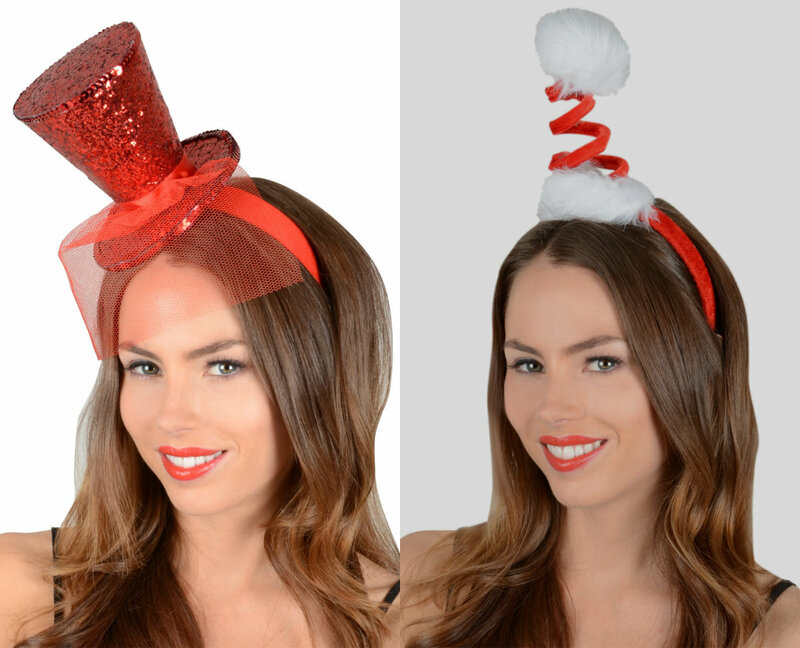 One of my favorite things for a Christmas party are such cool fascinators, that unlike royal fascinators that show off elegance, are quite flirty and funny for this special eve. 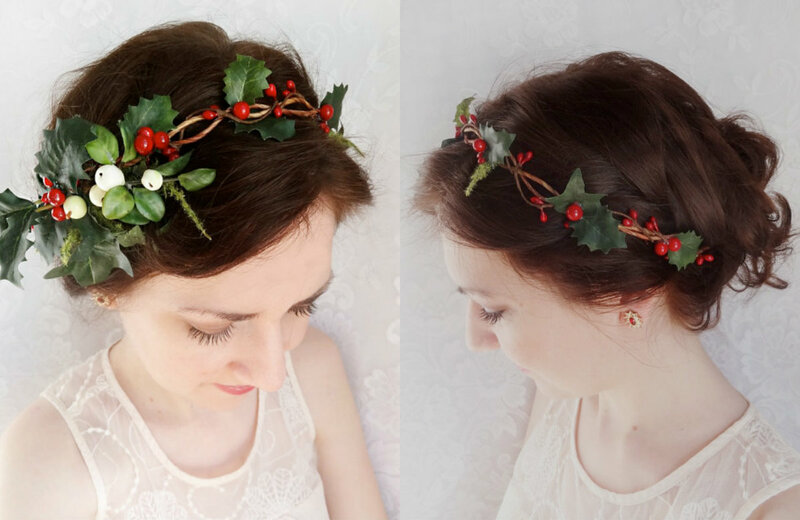 When we come to Xmas hair accessories to create the party hairstyles, many go for DIY options, that are easy to create and will doubtless look unique. You just need to choose some toys and other stuff and give way to your imagination. 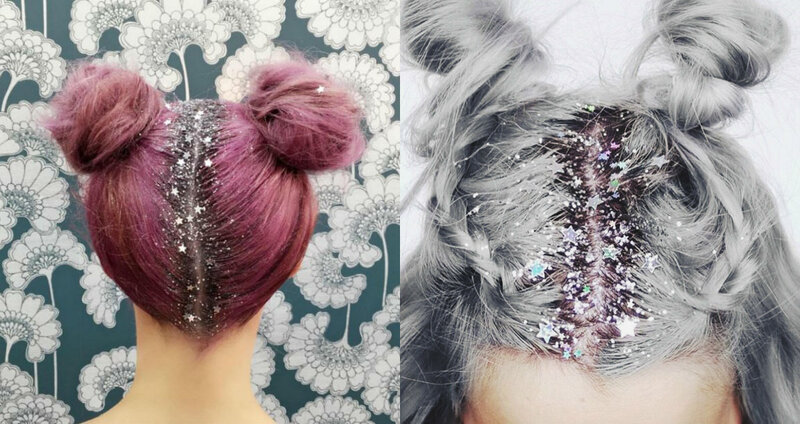 If hair accessories is not your case, then I will suggest trying hair glitter. 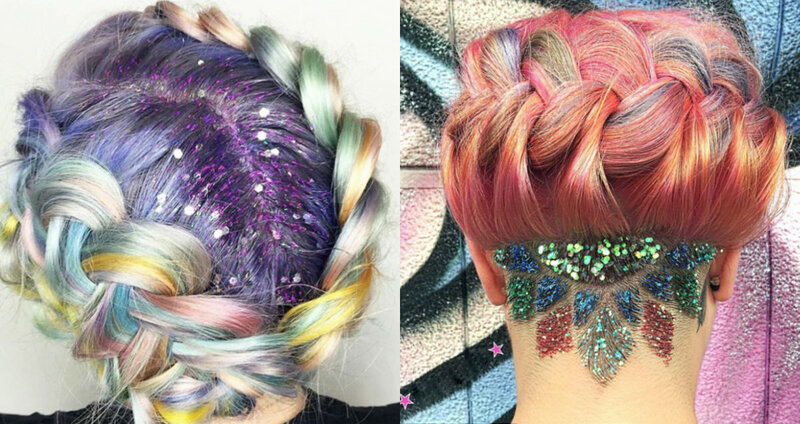 The shiny hairstyles will look appropriate for any party, on pastel hair colors you can apply silver glitter that will remind of freezy winter time, or red one to look more like Christmas. On the whole the shining glitter creates the atmosphere of a fairy tale when everything is possible and any dream can come true. 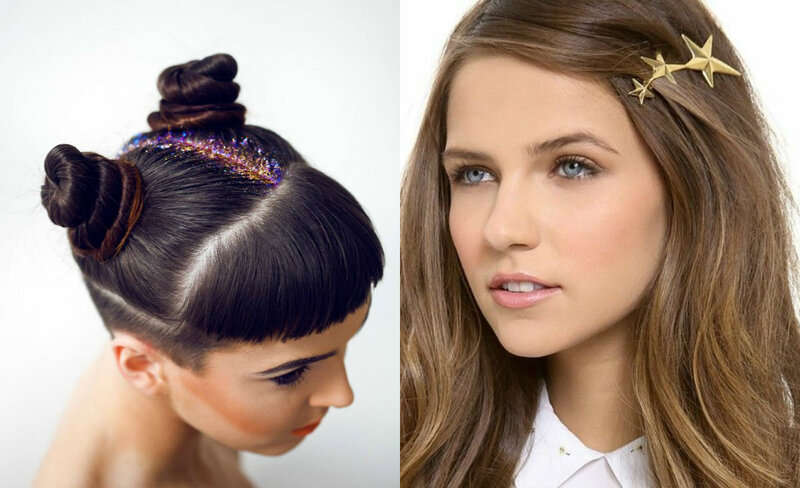 Or just stars hair clip, or double bun hair with a thin strand of glitter, or whatever hairstyles you want that will be different from your everyday looks, will fit the New Year party looks, just do not hold back your fancy and create the look you have always dreamed of.